Samsung have ranges of Galaxy smartphones, and Galaxy tablets. Now it has developed a Galaxy digital camera. This new digital camera will be run by Google’s Android operating system, on release the Jellybean version, also known as Android 4.1. It is a 16.3 megapixel camera, with a 21x optical zoom lens. On the front this new Galaxy looks like most other compact digital cameras, while at the back it takes on a decidedly smartphone look – all in all, it’s a little like the ideas put forward in the Artefact Camera Futura digital camera concept design. The screen is a 4.7 inch HD Super Clear Touch Display. The camera ship with apps that allow in-camera editing of stills and video, and with connectivity and access to the Google Play app store, more apps, such as Instagram, can be added. And the connectivity also means that you can quickly share your images to Twitter, Facebook and the like. The camera has 8GB of memory on board, expandable to 32GB with the addition of an SD card. 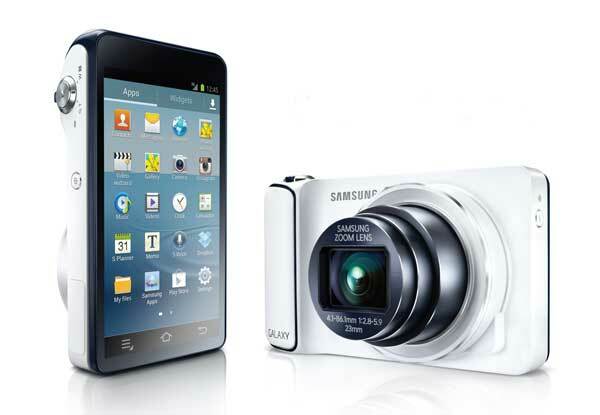 The Samsung Galaxy Camera will go on sale later this month, at an RRP of $599. The price in the US in $499, and it goes on sale there on November 16. Click the thumbnails below to view a larger image.